Plans for the future of the former London Chest Hospital next to Victoria Park are revealed at an exhibition which opens 3-8pm today and 10-2pm on Saturday at the Methodist Church in Approach Rd, Bethnal Green. Circle Housing bought the site from the National Health Service for forty-seven million pounds and we wait to see what their scheme will offer to the 22,000 families on the housing list in the borough – and whether the ancient Mulberry which bears the distinction of being the oldest tree in the East End will survive the redevelopment. 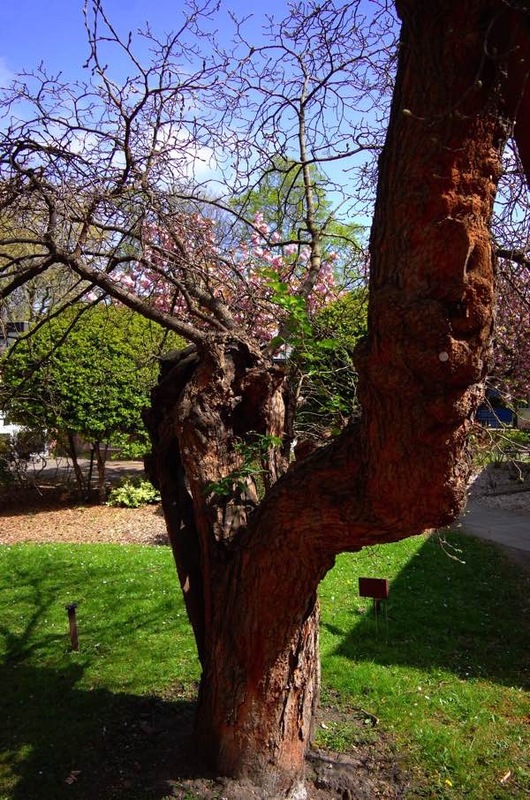 Thanks to an invitation from a reader last year, I had the opportunity of making the acquaintance of the oldest tree in the East End, a dignified tottering specimen known as the Bethnal Green Mulberry. Imported from Persia by James I in the sixteenth century, it is more than five hundred years old and once served to feed the silkworms cultivated by local weavers. The Mulberry originally grew in the grounds of Bishop Bonner’s Palace that stood on this site and an inkwell in the museum of the Royal London Hospital, carved from a bough in 1915, has a brass plate engraved with the sardonic yarn that the Bishop sat beneath it to enjoy shelter in the cool of the evening while deciding which heretics to execute. 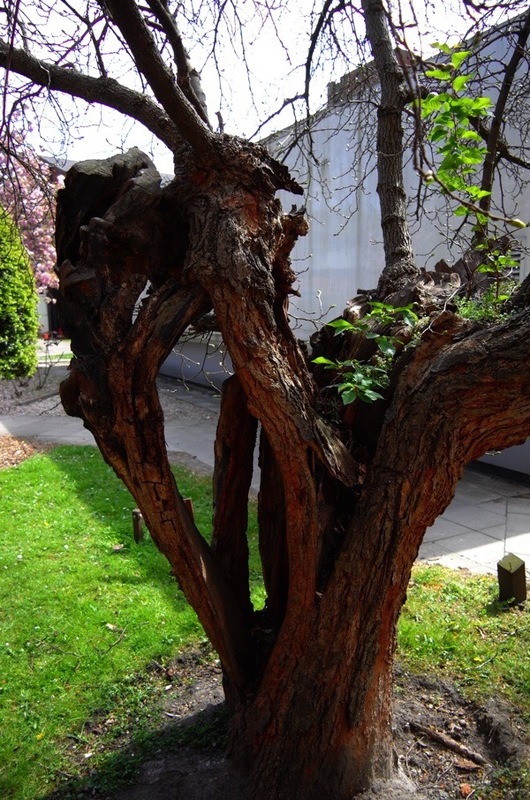 My visit was a poignant occasion since the Mulberry stands today in the grounds of the London Chest Hospital which opened in 1855 and closed forever last April prior to being put up for sale by the National Health Service in advance of redevelopment. My only previous visit to the Hospital was as a patient struggling with pneumonia, when I was grateful to come here for treatment and feel reassured by its gracious architecture surrounded by trees. 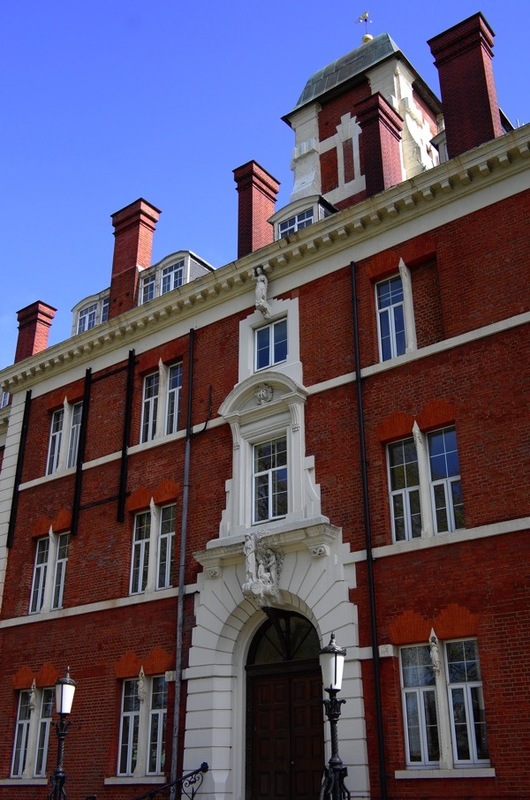 Of palatial design, the London Chest Hospital is a magnificent Victorian philanthropic institution where the successful campaign to rid the East End of tuberculosis in the last century was masterminded. It was a sombre spectacle to see workmen carrying out desks and stripping the Hospital of its furniture, and when a security guard informed me that building had been sold for millions and would be demolished since “it’s not listed,” I was shocked at the potential loss of this beloved structure and the threat to the historic tree too. So now we await the developers’ plans for this much-loved East End institution and, since the Mulberry is subject to a Tree Preservation Order, we hope this will be sufficient to save it. Gainly supported by struts that have become absorbed into the fibre of the tree over the years, it was heartening to see this ancient organism renewing itself again after five centuries. The Bethnal Green Mulberry has seen palaces and hospitals come and go, but it continues to bear fruit every summer regardless. Thank you, O Gentle Author, keeping us up to date on the Chest Hospital’s future. 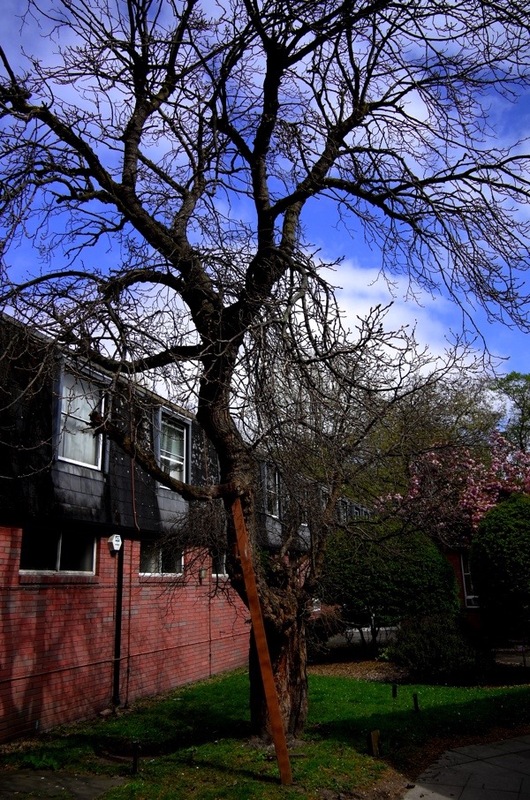 Let us hope that Circle Housing will be considerate in its approach to redeveloping the site and let us hope too that the ancient Mulberry survives. My grandfather was a patient here and died at the country branch of the London Chest Hospital in Arlesy, Bedforshire. I was a child during his illness and visited him only once. The country branch was a grim place, a line of army-type huts along a concrete path. What a pity that this wonderful East End building will be destroyed, another incredible building vanished. 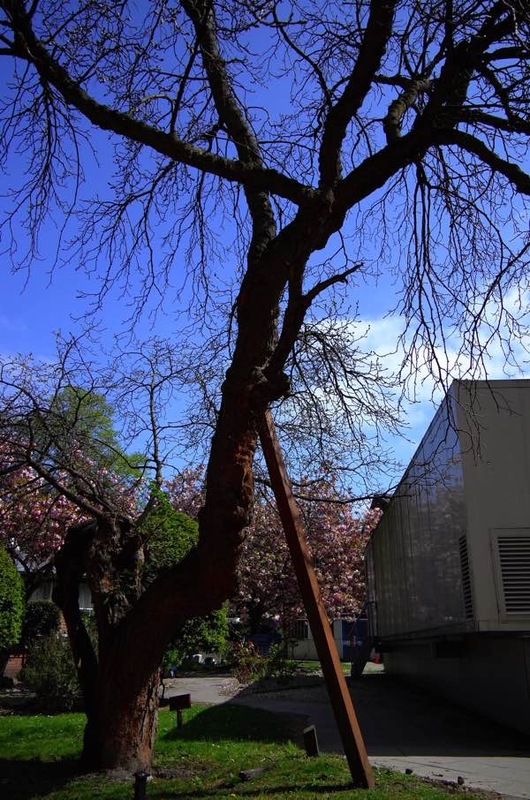 I hope they can (and DO) save the mulberry tree. Such happy memories of a lovely hospital and the best 3 years of my working life. I was there in the mid 70s and it had such a wonderful, close-knit, family feel. I worked in the Cardiac Department (which would now be called the Angiography Suite, I suppose). I went back to the pre-closure fun day in 2014 to celebrate its work and history. The people I talked to there were representative of several decades and all agreed on the warm and friendly feel of it. Hope at least the facade is preserved and some of the finer interior features like the old entrance hall, though I’m sure few will regret the loss of the rotting old TB balconies. Also, the grand old mulberry – I have eaten the fruits of it in the past. Surely, it will be allowed to lived out its last years with a bit of dignity. I’ve just come back from the “consultation” exhibition. The last spokesperson said “We have been seeking quotations from a specialist to move the Mulberry.”!!! My understanding has been that the silkworms did not feed on the mulberry trees imported by minions of James I as they were the wrong kind. Does anyone know any more about this? 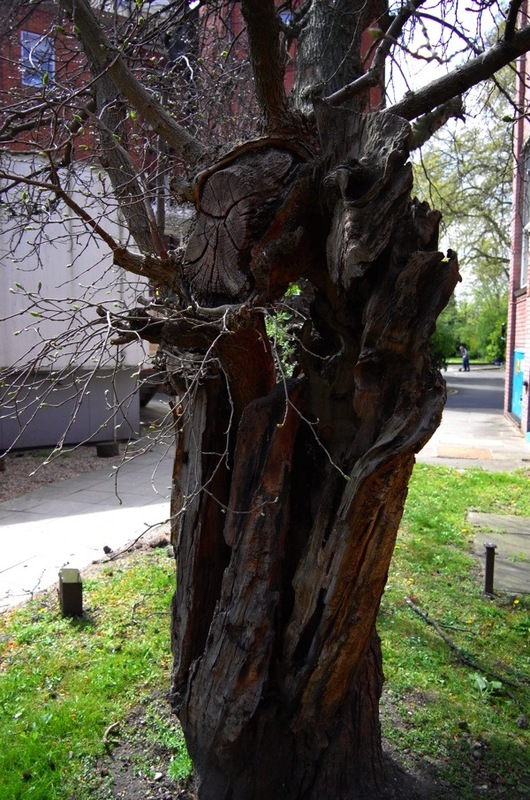 Nevertheless this is a very precious tree so it is so important that it is not now destroyed after all these years. The London Chest Hospital was built in the style of a Queen Ann mansion, is glorious and I am very disappointed that English Heritage saw no merit in listing the building, shame on them. The building situated in the midst of Victorian villas in the heart of the east end, is as much a part of the architectural landscape, as any of the beautiful houses and villas, which surround it. The layout of the villas and hospital was conceived as a whole. Prince Albert was the hospitals patron, indicating its importance as a hospital for chest diseases and tuberculosis which was rife in the east end. And the grounds of the hospital provided a wonderful green landscape for patients and staff to enjoy. I assume, this will all be lost as part of the redevelopment? The east end looses another architectural gem and no one seems to give it a second thought? What a tragedy.